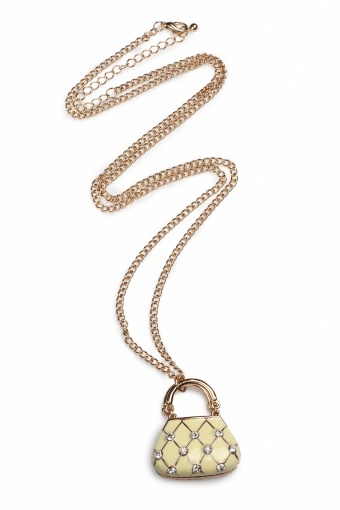 Glamorous Quilted Handbag necklace. 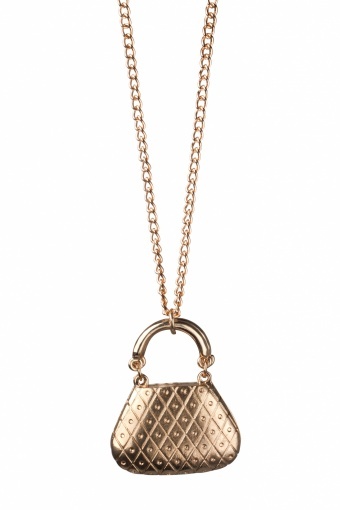 Absolutely gorgeous this long necklace with handbag pendant. 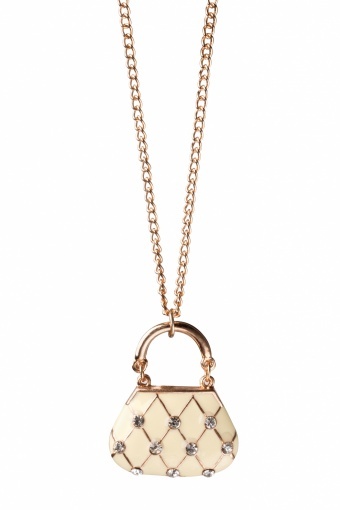 The handbag is enamelled in stylich off-white, quilted look and decorated with shiny rhinestones. Toooo cute!